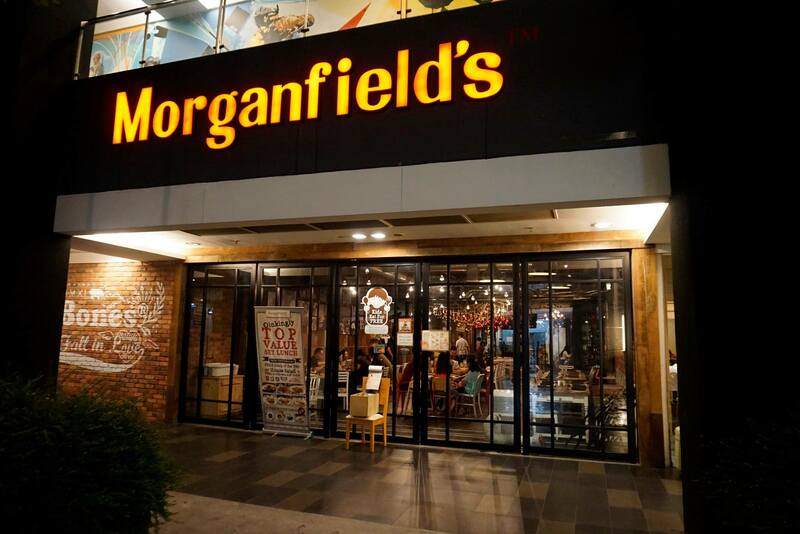 Headed over with Mei Sze and some of our PersonEDGE bloggers to review the special Christmas Feast Menu at Morganfield’s Publika. 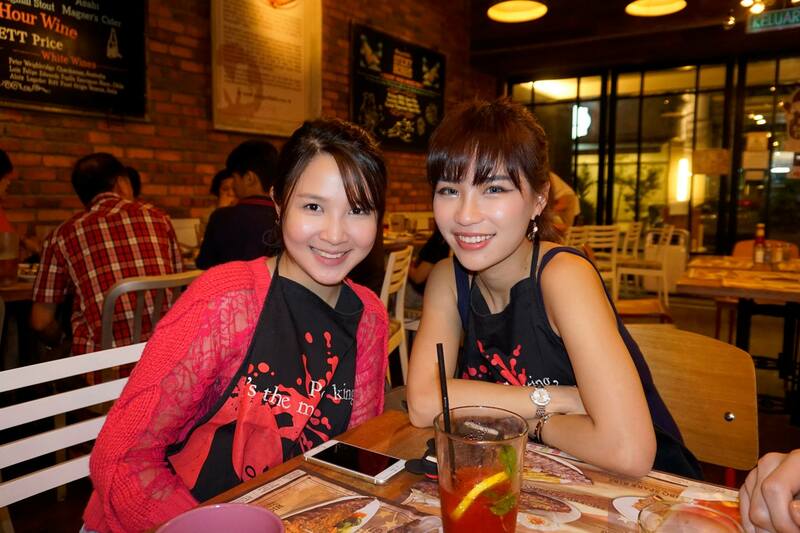 The special menu is only available from 28 November 2014 to 4 Jan 2015 and features some Morganfield’s favourites as well as some festive dishes that are only available during this promotion. 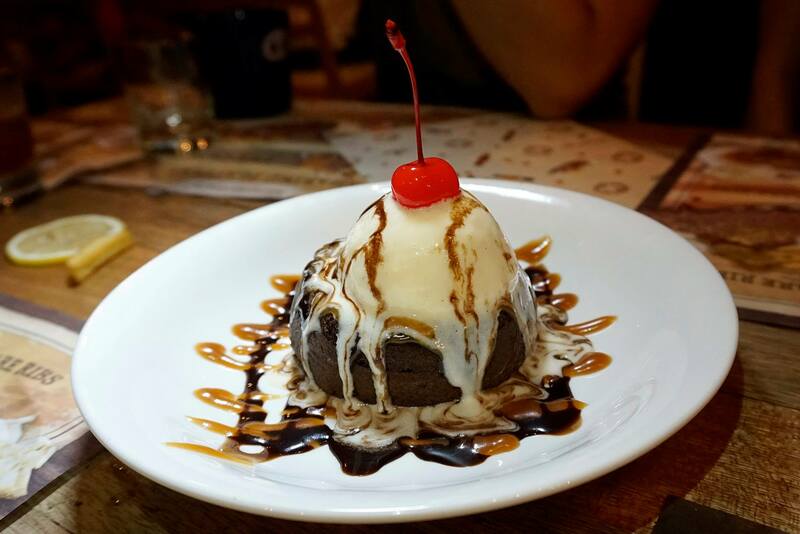 The outlet has al fresco dining (for those who prefer fresh air), and a non-smoking indoor dining, and bar area. 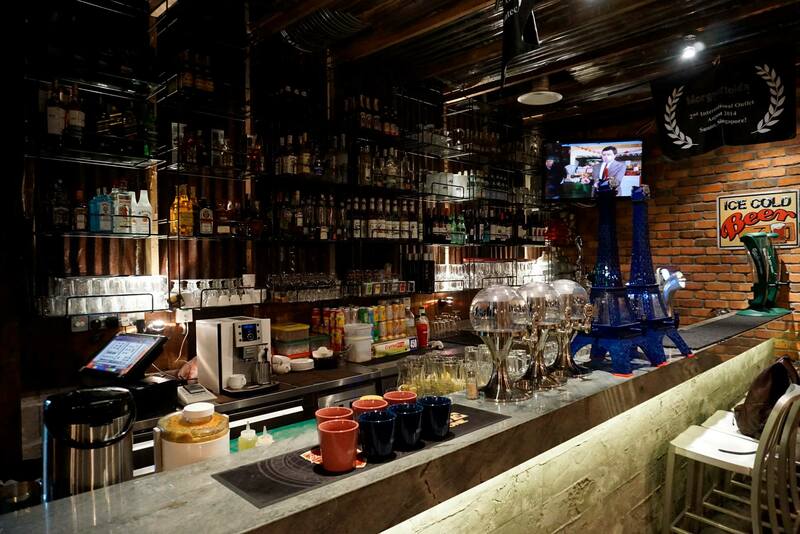 The interior is warm with a rustic bare brick walls and signboards displaying happy hour prices and some posters. The bar has draught beers, wines, liquor, and cocktails – enough to quench most thirsty patrons. AND they have Happy Hours prices if you go early in the evenings! 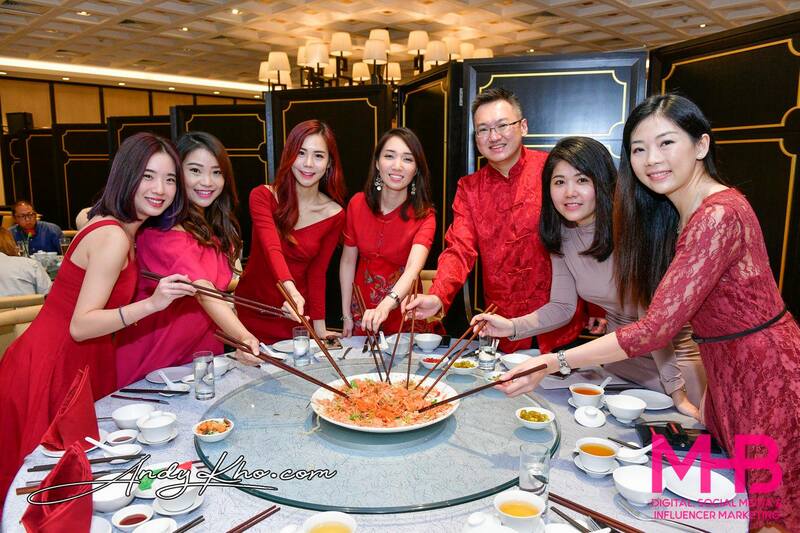 Before you get started the staff will place a bib on you so that you won’t stain your outfit when you’re wolfing down those ribs with your hands. 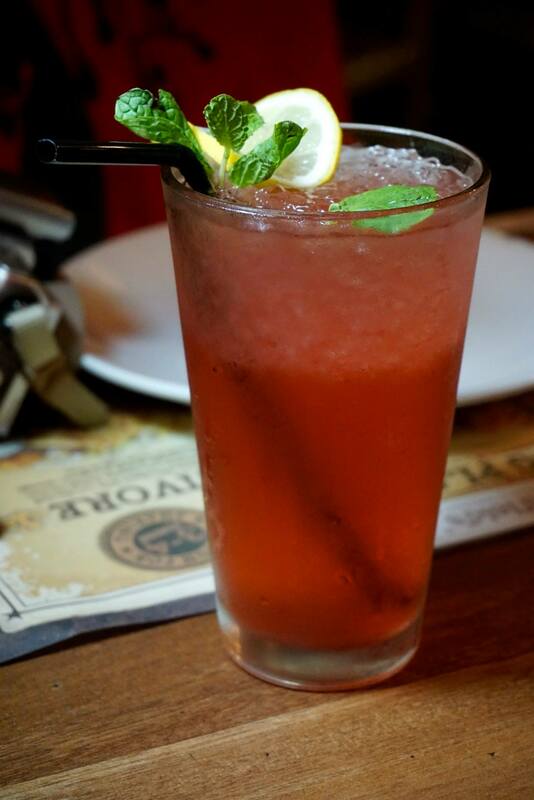 Made of Gingerbread syrup, fresh lemon juice, cranberry juice and soda. 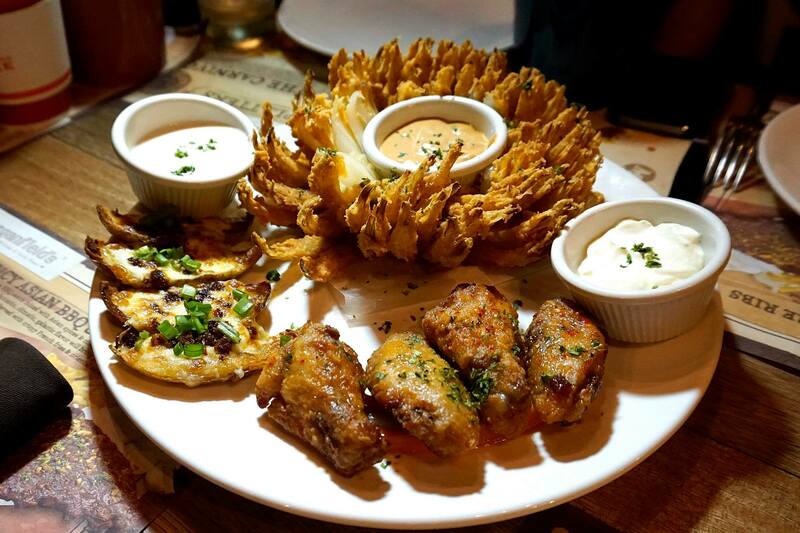 Crispy onion blossoms made from a really huge onion, spicy chicken wings, and russet potato skins served with their corresponding dips. This was a great starter and I liked the dips so much I actually kept them to eat with the other dishes later on in the meal! 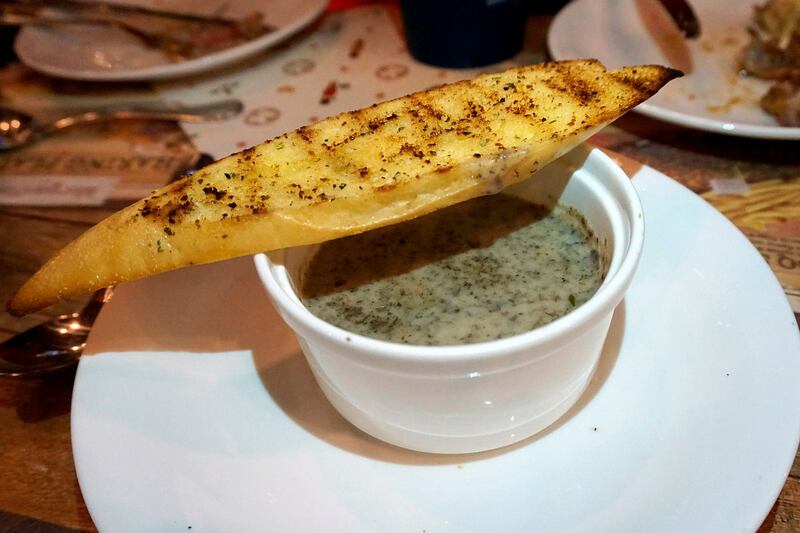 A warm and hearty mushroom soup served with a really long piece of garlic toast! Wow! This one has to be the healthiest Christmas dish I’ve ever come across! 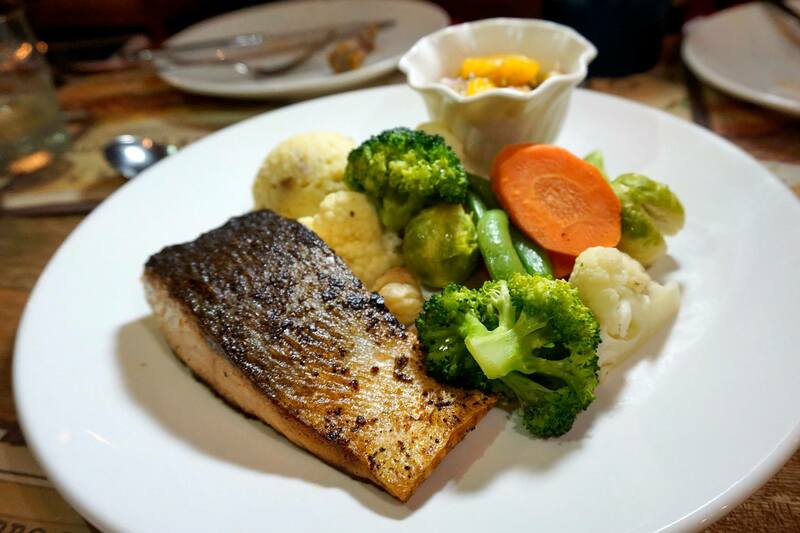 Perfectly cooked salmon with a crispy skin and soft flesh with seasoned veggies, Brussel sprouts, mashed potatoes and orange salsa which adds some delightful acidity to balance out the dish. Surprisingly juicy and tender turkey (90% of turkey I eat is always overcooked making it dry and tough) with sautéed paprika potatoes, pork stuffing, seasoned veggies, brussel sprouts, winter chestnuts and Giblet gravy. 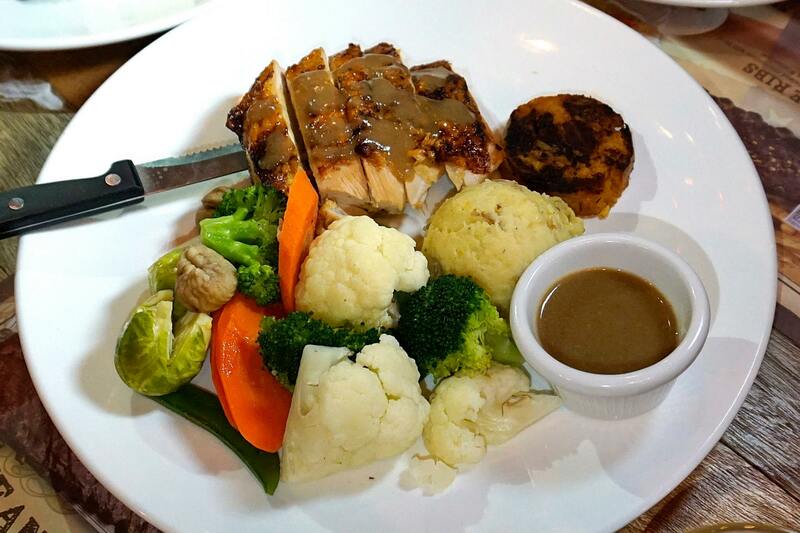 Both the salmon and the turkey mains are part of the special 3 course Christmas Set Menu (salmon goes for RM75.90, and the turkey at RM85.90) which is only available on 24 and 25 December 2015, and comes with a choice of starter/ soup (the mushroom soup above is one of the choices available), and dessert which is the Warm Apple Bread Pudding. Now for the star of the night! The MVP comes with 1/2 slab of Hickory BBQ Spare Ribs, full slab of Jack Daniel’s Iberico Baby Back, full slab of Smoked Peppercorn Lamb Rack Ribs, full slab of Hickory BBQ Beef Ribs, Spicy Devil Sausage, Herby Hog, garden salad, grilled corn on the cob, corn bread and crispy French Fries. For a meat lover like me, this was an absolute dream! 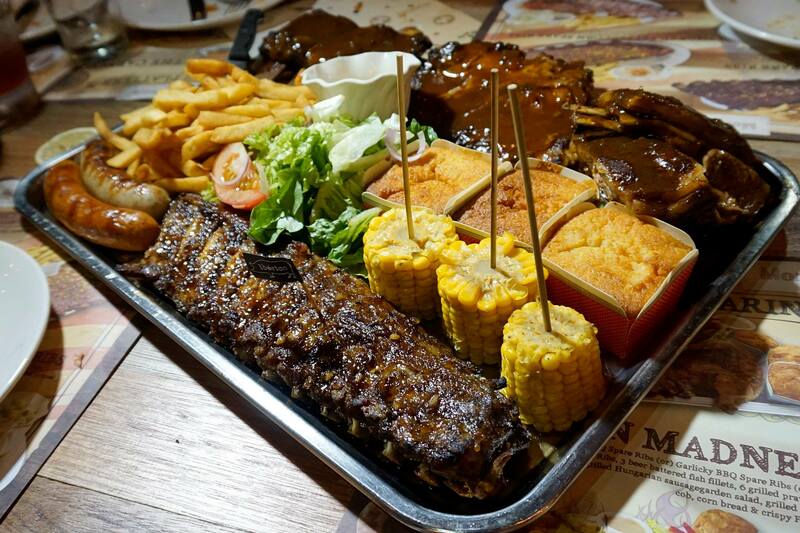 Delicious ribs and sausages with some vege, fries and corn bread to fill you up in case you’re not full. 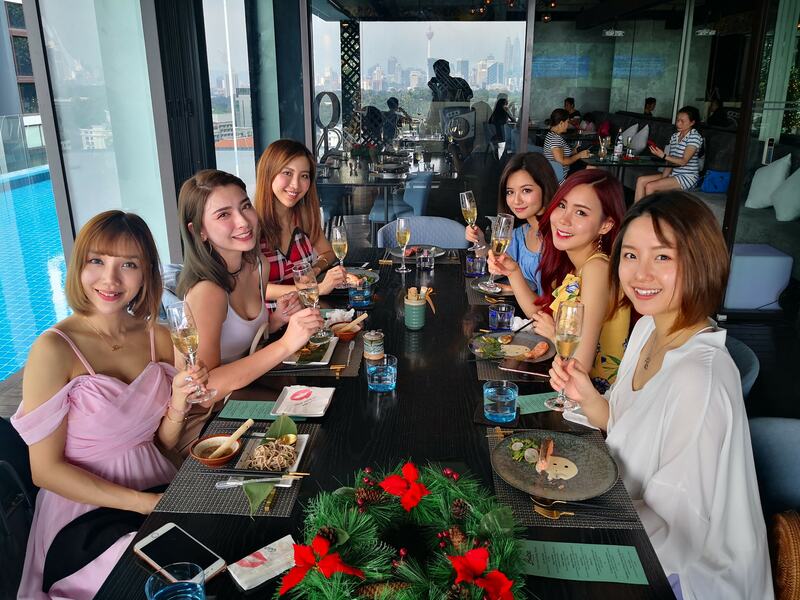 Heck Vernon, Anna and I could have easily finished the whole platter by ourselves (but good thing we were half filled with all the previous dishes). My favourite was the Jack Daniel’s Iberico Baby Back Ribs! Finger licking good and oh so tender, don’t bother using a fork and knife for this, just use your fingers (after all the bib will protect your outfit) and lick them afterwards! 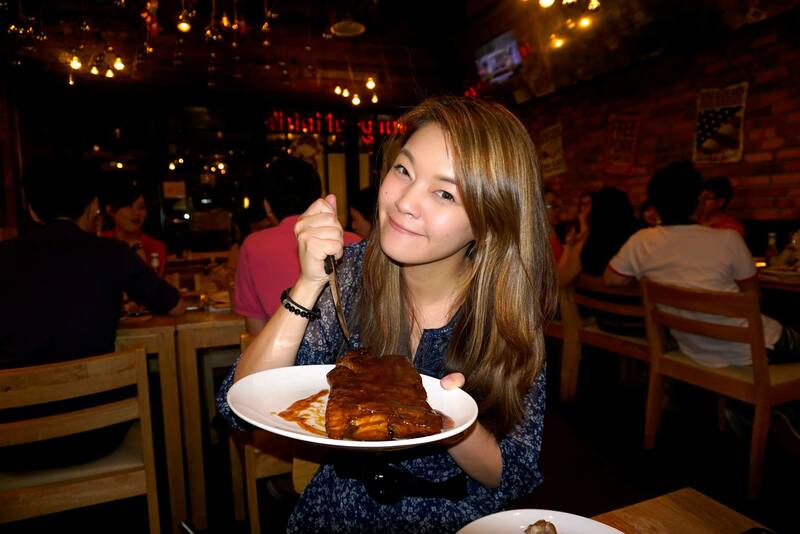 Anna could finish the whole slab by herself! 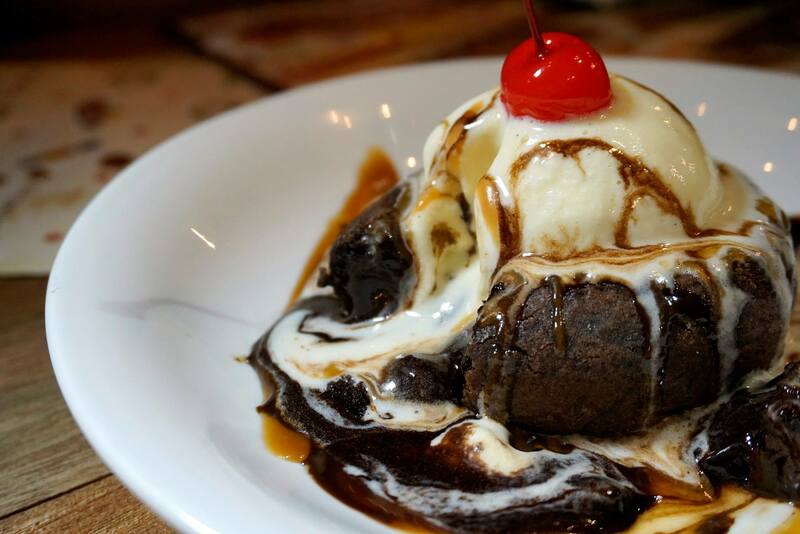 Moist warm chocolate cake filled with rich chocolate ganache, topped with vanilla ice-cream, chocolate syrup and caramel sauce. Look at all the lava flowing out! 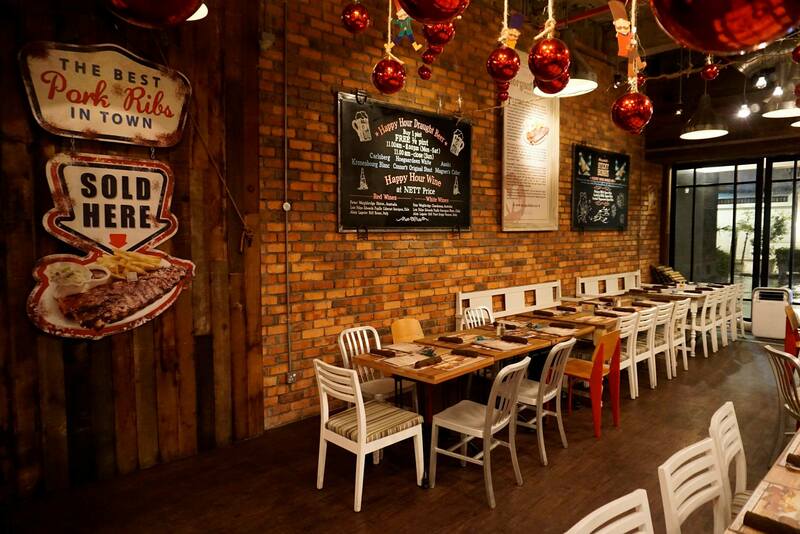 So if you’re looking for somewhere to celebrate your Christmas eve or day, Morganfield’s Publika is a good choice as there’s ample parking in Publika and the restaurant has a large seating capacity. 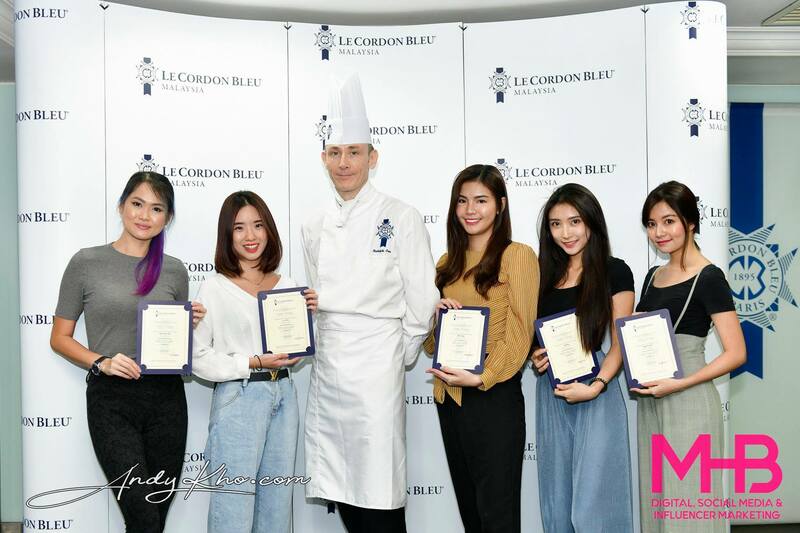 I do highly recommend though that you book ahead to make your reservation. 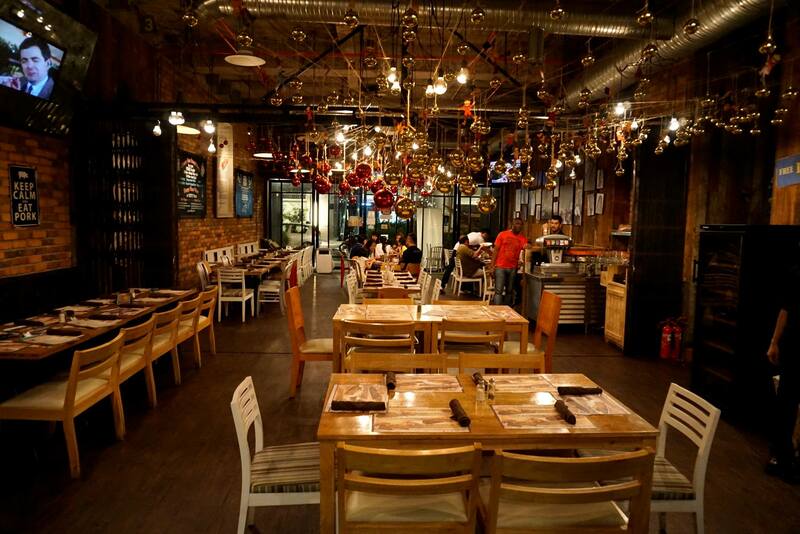 Morganfield’s Publika is non-halal and serves pork and alcohol.